While you are counting stock (i.e. the stock count is unlocked) the system doesn’t actually update the levels. The stock levels will be updated once you have locked the stock count. Therefore it is not recommended to despatch orders while you are counting stock as it will result in discrepancy. Only one stock count can be opened at any given time. You can abandon the stock count at any time and then reopen it by selecting the date of the count from the drop down box. 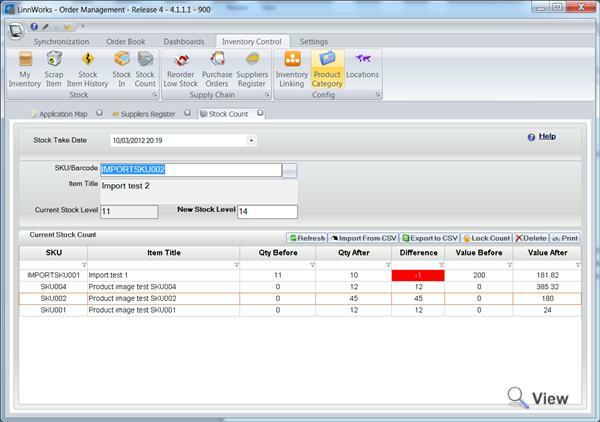 Counted Stock – prints only counted stock, stock levels recorded at the time of counting and newly entered stock levels. Not counted stock – prints all inventory items which you have not yet counted. Complete Inventory – prints all inventory items counted and not counted, resulting in complete Inventory Manifest in your location. To print manifest click Print, select Type of the manifest and template which you want to use for the print from the popup menu. Once you have counted all your inventory, you need to Lock the count in order to apply all the adjustments. Click Lock Count to perform this task. If you have very large stock count – the locking might take several minutes. 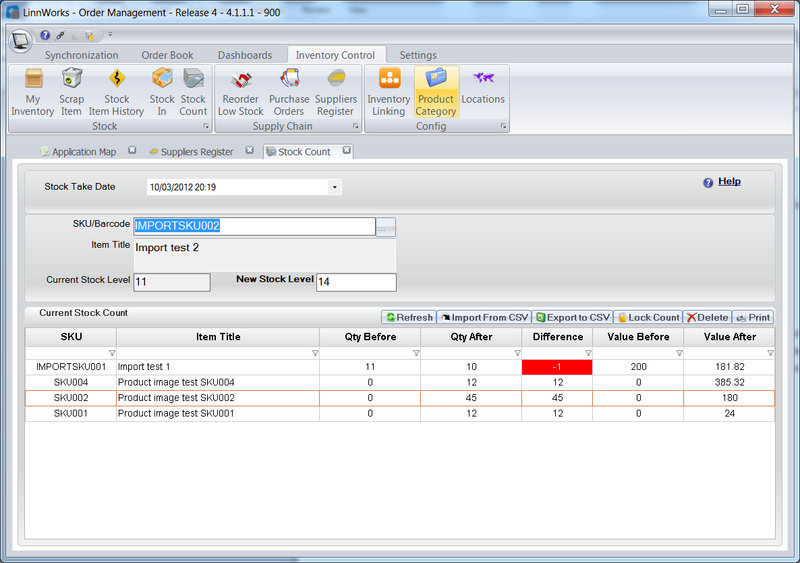 Stock count and inventory manifests can be exported. The types of the export are the same as Printing Manifests inventory. The export produces comma delimited file. The stock count can be imported from comma delimited file. It is common for handheld barcode scanners with integrated batch count to produce such CSV files. The expected file should contain two columns: SKU and NewQuantity. How is stock value calculated?